Lithography: A Dufa flat-offset press with a printing capacity of 890x630mm. Cutter for paper (75 cm), a large light table and lighting box. Facilities for developing and rinsing. Table for cutting glass. 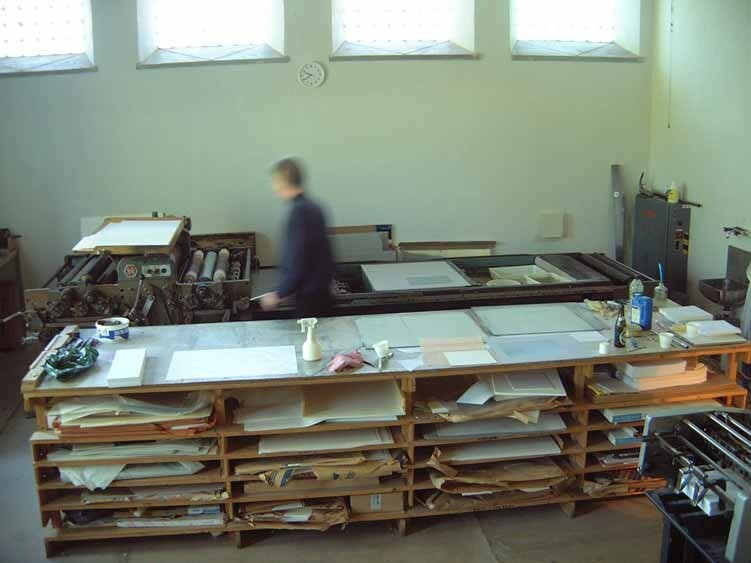 In connection with the lithography workshop is equippment for wood work and a cutter for framing.